The School’s full and part-time faculty is made up of dedicated individuals who have established a solid educational, professional and teaching background in their area of expertise. While reading over the biographies of each of these instructors you will be amazed at the diversity of backgrounds and interests. This mix offers students a unique experience in that it allows you the rare opportunity to sample many approaches to your chosen field of interest. This will be particularly helpful as you approach your final year of the program when you must choose an advisor to assist you with your thesis work. 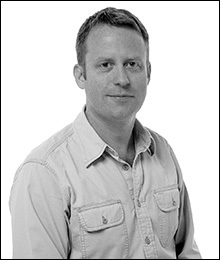 Alex has an extensive background in design, having worked for various companies prior to starting his own firm, Alter. His projects cover a range of design applications from graphic, interior, corporate and industrial and are taken from concept and development stages to implementation, creating design continuity. Alex was the Art Director of C Magazine, Saturday Night, Forum, Allergic Living and presently Montage, a magazine for the film industry. Prior to teaching at Ryerson, he taught for ten years at the Ontario College of Art & Design. 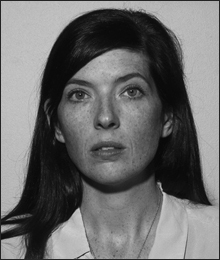 Alexandra Anderson is a researcher, writer and filmmaker. 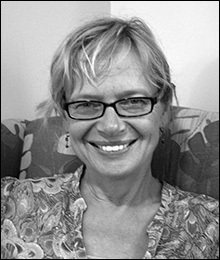 Her areas of research and publication include Canadian documentary, Cuban cinema, women and film, and documentary pedagogy. She has eighteen years of professional experience in the film and television industries working as a researcher, film editor and director/ producer. Her documentaries (made for British television) have won awards in Europe and Canada and have been seen around the world. Some titles are: Hell to Pay, (Best Film, Creteil Film Festival, and Montreal Women’s Film and Video Festival) Chile: Broken Silence and Tales from Havana. Chris has experience as a filmmaker in the roles of writer, producer, director, editor and cameraman in both drama and documentary formats. Recent productions include Shooting in Rwanda and Malawi: Water is Life. A number of his film productions have involved travel abroad and have been funded by private and public interests. He has nine years of teaching experience including courses in communications, screenwriting, drama and literature at schools such as Simon Fraser University, Douglas College, York University and Humber College. Thomas Blanchard is a photo-based artist, educator and freelance photographer living in Toronto. His most recent projects involve creating site-specific installations with the use of photo lightbox sculptures and ambient sounds. His work addresses ubiquitous environmental and health issues that surround us but often go unnoticed. Marta’s area of research is chronophotography, particularly the work of E.J. Marey and Eadweard Muybridge. In 1994, her book Picturing Time: The Work of Etienne Jules Marey, was short listed for Britain’s Kraszna-Krausz award, given bi-annually for the best internationally published book in photography. 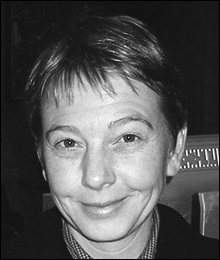 She went on to win this award in 1999, along with four other authors, for the collection of essays Beauty of Another Order: Photography in Science. 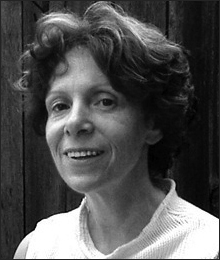 In 1996 Marta was made a Knight of the Order of Academic Palms by the Government of France in recognition of her contribution to the cause of French knowledge, culture, scientific progress and education. For fall 2008 she will be a fellow at the Internationales Kolleg für Kulturtechnikforschung und Medienphilosophie in Weimar, Germany where she will be working on her forthcoming exhibition of Muybridge’s Animal Locomotion. 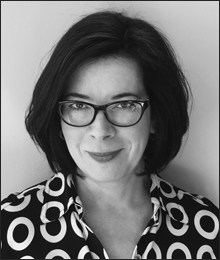 Dr. Jean Bruce is an associate professor of film, cultural studies and new media in the School of Image Arts where she teaches courses at both the undergraduate and graduate levels. These include film history and criticism, advertising and consumer culture, Hollywood melodrama, visual culture, and film and cultural theory. Her education, research and publication involve multiculturalism and sexuality in Canadian cinema; early cinema in Quebec; ethnographic cinema; and currently, reality television in trans/national contexts. Jean is the recipient of internal and external grants, which support this work. Robert Burley is an artist working in photo-based media whose practice explores the built environment, history and visual studies. His past projects have received widespread recognition through numerous grants, awards and media coverage. Burley’s works have been exhibited around the globe, and can be found in museum collections including the National Gallery of Canada, Musée de l’Elysée, George Eastman House–International Museum of Photography and Film, Musée des beaux-arts de Montréal and Musée Niepce. 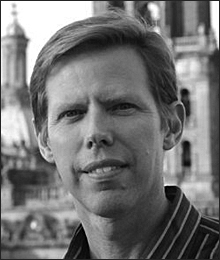 His publications include Viewing Olmsted: Photographs by Robert Burley, Lee Friedlander and Geoffrey James and The Disappearance of Darkness: Photography at the end of the analog era. Burley has lectured about his photographic projects through the Rouse Visiting Artist Program at Harvard University and the Senior Mellon Fellowship Program at the Canadian Centre for Architecture. 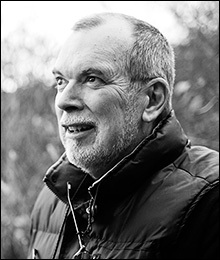 In addition to his activities as an artist, Burley has undertaken many initiatives as an educator with the goal of expanding resources and curricula at Ryerson. 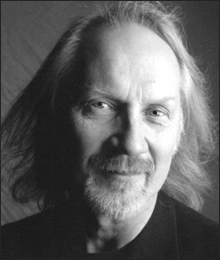 These include his role as founding Program Director of the MA program in Film & Photographic Preservation, his work to establish and expand collections in The Ryerson Image Centre and Special Collections – Ryerson Library, and the management of numerous cultural programs such the Kodak Lectures and The Ryerson Gallery. 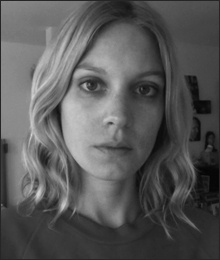 Gerda is a film scholar, curator, and filmmaker with a particular interest for documentary and experimental film. She is passionate about film history, the history of film technology and forgotten or overlooked (film) histories such as amateur films, but she is as passionate about the new possibilities for independent filmmakers thanks to new media technologies, always curious to discover new forms and new voices. Her own work entails found-footage films, collage works, abstract pieces and creative documentaries. Her films have been shown at various festivals in Canada and abroad. She is also a free-lance film programmer for art galleries or artist collectives. Michal has worked as a writer, director, producer and editor on both fiction and non-fiction films and television around the world. His first documentary feature, River People, won the IDA’s David Wolper Prize and aired on stations throughout the U.S., Europe and Asia. Other films include the award-winning Middle East documentaries Not On Any Map and Through the Eyes of Enemies and the short fiction films Terra Firma and Fossils. Michal recently wrote and produced a two-hour television pilot (Ice Planet) for international broadcast and has written and directed theatre productions in both the United States and Germany. He has also worked professionally as a film critic and is a former Directing Fellow at the American Film Institute in Los Angeles. Michal has lived for much of the past decade in Europe and the Middle East; he joined the film faculty in 2004. 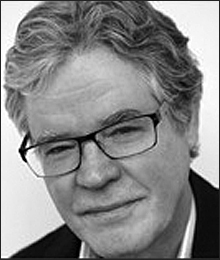 Bruce Elder’s professional work is divided into two distinct fields: he works as an artist, making personal films; and as an art critic and art theorist, publishing articles, papers and books on art and culture. Prof. Elder has published dozens of articles, has given guest lectures at many universities, film centres and galleries, and has done a considerable amount of curatorial work. He has organized film exhibitions for the Toronto International Film Festival, the Art Gallery of Ontario, the Canadian Images Film Festival, and Canada House (London, England) and the Fourth International Experimental Film Congress. 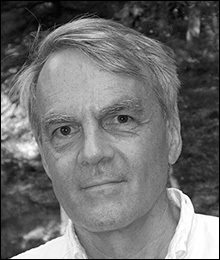 In 2007 Prof. Elder won the prestigious Governor General’s Award in Media Arts for outstanding achievement as an avant-garde filmmaker. 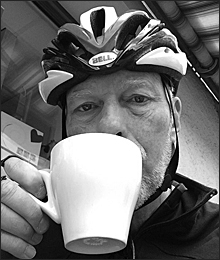 Blake is an active photographer, curator and writer. His research interests are in the area of documentary practices and he has written on the representation of disaster in contemporary photography. He has exhibited his work in solo and group exhibitions in Canada and the United States and his recent curatorial initiatives include Disaster Topographics and the highly acclaimed traveling exhibition, The Atomic Photographers Guild: Visibility and Invisibility in the Nuclear Era. 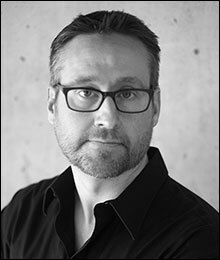 He has held a number of senior academic positions including the position of Dean, Faculty of Art, at the Ontario College of Art & Design as well as Dean, School of Design and Communication Arts at Durham College. (École des Hautes Études en Sciences Sociales France, 2007). 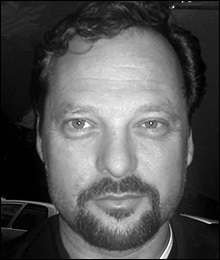 Thierry Gervais is an historian of photography. He received his PhD from the École des Hautes Études en Sciences Sociales (Paris) in 2007 and has become the head of Research at the Ryerson Image Centre (RIC) in 2012. He has been the editor in chief of Études photographiques from 2007 to 2013 and the author of La photographie. Histoire, technique, presse, art (with Gaëlle Morel, Larousse, 2008). He was the curator of the exhibition “Dispatch : War Photographs in Print, 1854-2008” (RIC, Fall 2014) and the co-curator of the exhibitions “Views from Above” (Centre Pompidou-Metz, Spring 2013), “Léon Gimpel (1873-1948), the audacious work of a photographer” (Musée d’Orsay, Paris, Spring 2008), and “L’Événement : les images comme acteurs de l’histoire” (Jeu de Paume, Paris, Winter 2007). He organized the symposia “The ‘Public Life’ of Photographs” (RIC, 2013), “Collecting and Curating Photographs. Between Private and Public Collections” (RIC, 2014) and “Photography historians: A new Generation?” (RIC, 2015). He recently published the book titled La Fabrique de l’information visuelle. Photographies et magazines d’actualité (Paris, Textuel editions). Elisa Gonzalez is rooted in the fine arts practicing as a filmmaker and photographer. Her work ranges from experimental documentary to interpretive museum videos that have shown in a variety of venues including International Film Festivals, Bravo! Television and The Smithsonian Arctic Studies Center at the Anchorage Museum. Recent work includes The Quiet Zone, a three year- long collaborative documentary project investigating the connection between the social and physical landscape as a place of refuge away from the permeation of wireless technology. Shown as a video installation at Pierre-Francois Ouellette Art Contemporain, Montreal, it was one of Canadian Art Magazine Fall 2014 Top 10 must see shows. As a recipient of Canada Council for the Arts and Ontario Arts Council Media Arts Grants, The Quiet Zone will find completion as a feature length documentary film in early 2016. Her work explores the inherent tension between memory and history, technology and the individual through contemporary documentary form. She currently lives in Toronto, Canada. Vid Ingelevics is a Toronto-based visual artist, writer, independent curator and educator. He also worked for almost 20 years as a free-lance commercial photographer with work published in major publications in Canada and elsewhere. His curatorial and photo/video-based art projects have been exhibited at institutions across Canada, in the USA, Europe and Australia. These include: the Power Plant, Toronto; the Koffler Gallery, Toronto; Presentation House, Vancouver; Jack Shainman Gallery, New York; the Goethe Institute, Los Angeles; the Photographers Gallery, London; the Nederlands Fotomuseum, Rotterdam; the Fotomuseum Winterthur, Zurich; the Neuer Berliner Kunstverein, Berlin; and the McLuhan Salon at the Canadian Embassy, Berlin. Valérie’s research in spatial experience and its representation has been featured at conferences and articles, including INTED, The International Journal of the Image and The International Journal of the Constructed Environment. 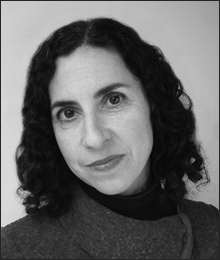 An interdisciplinary scenographer with over 35 years experience, she received a Gold Medal for Art Direction at the 1994 NY Festivals for Groundling Marsh (TV series) and appears in The Worldwide Who’s Who. Valérie designed the costumes for Sinbad the Sailor at Lotte World, (Seoul’s Jamsil Station, 2007) and for Théâtre la Tangente’s Requiem pour un trompettiste (Toronto 2005). In addition to teaching Visual Studies and Scenography, Valérie mentors emerging scenographers and coordinates The Chang School’s Certificate in Design for Arts and Entertainment. Her film Safe Set Work for Every-Body, directed under the auspices of two LTO Teaching About Diversity Fund awards will be released in Winter 2018. Dave Kemp is a visual artist whose practice looks at the intersections and interactions between art, science and technology: particularly at how these fields shape our perception and understanding of the world. His artworks have been exhibited widely at venues such as at the McIntosh Gallery, The Agnes Etherington Art Centre, Art Gallery of Mississauga, The Ontario Science Centre, York Quay Gallery, Interaccess, Modern Fuel Artist-Run Centre, and as part of the Switch video festival in Nenagh, Ireland. His works are also included in the permanent collections of the Agnes Etherington Art Centre and the Canada Council Art Bank. 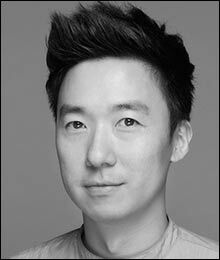 Michael Kim is a Toronto-based artist working in photography and video. His current work focuses on the human impact on the environment, which comprises of photomontages, HD Video, and a photographic book. He completed his B.F.A., and began his career as a commercial photographer working with advertising agencies and corporations. His photography has appeared on cover of Applied Arts magazine and on billboards, bus shelters and magazines across Canada and in the United States. Since completing his M.F.A., he is now working on a number of independent projects, as well as participating in Scotiabank Nuit Blanche and the Toronto Urban Film Festival. 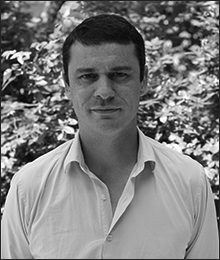 Dimitrios Latsis is Assistant Professor of Film Studies at the School of Image Arts, Ryerson University in Toronto where he teaches in the Film Studies and Film and Photography Preservation and Collection Management programs. 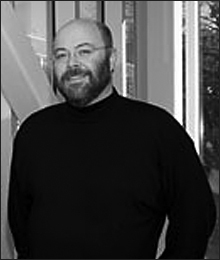 He received his PhD in Film Studies from the University of Iowa and completed a postdoctoral fellowship in Visual Data Curation at the Internet Archive where he served as film archivist. 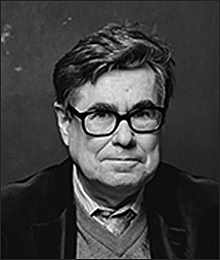 His work on American visual culture, early cinema and the Digital Humanities has been supported by the Smithsonian Institution, Domitor and the Mellon and Knight Foundations among others. He has published and lectured widely in the fields of American Visual Culture, the historiography and theory and cinema and archival studies. 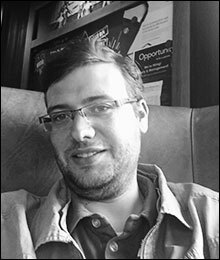 He recently edited a special issue of the journal of the Association of Moving Image Archivists on Digital Humanities and/in Film Archives. He is currently co-editing an anthology on documentaries about the visual arts in the 1950s and 60s (for I.B. Tauris), and writing a monograph on the historiography of American cinema during the early and silent years. 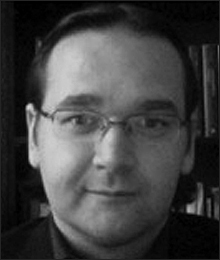 After completing his doctoral studies, Bruno Lessard went on to a SSHRC postdoctoral fellowship at York University. As a scholar, he has published extensively on diverse topics such as digital media arts, digital games, contemporary cinema, and Chinese photography. His forthcoming book with the University of Toronto Press is titled “The Art of Subtraction: Digital Adaptation and the Object Image.” Lessard’s current research project concerns images of China made by filmmakers and photographers who have documented the great socio-cultural and environmental changes China has undergone within the last twenty years or so. An active photographer, his projects can be found at www.brunolessard.com. 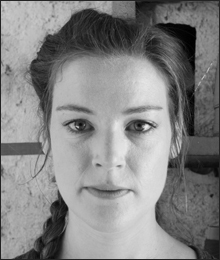 Annie MacDonell makes photography, sculpture, film and installation. Her work questions assumptions around originality, authenticity and our shifting relationship to images, both moving and still. MacDonell’s work often begins with gestures of recuperation and reanimation, which spiral off into multi-layered and self-reflexive meditations on the act of looking. Annie MacDonell received a BFA from Ryerson University’s School of Image Arts in 2000, followed by graduate studies at Le Fresnoy, Studio National des Arts Contemporains, in Tourcoing, France. Recent solo shows include the The Hand and the Glove, at Mulherin New York, The Fortune Teller, at the Art Gallery of Ontario, Image and The Abyss at the Art Gallery of Windsor, The Originality of the Avant Garde, at Mercer Union Gallery, in Toronto. She has participated in recent group exhibitions at The Power Plant, MOCA Cleveland, Le Grand Palais, Paris and the Daegu Photo Biennale, in South Korea. In 2012 she was long-listed for the Sobey Art Award and short-listed for the AGO Grange prize for photography. Her work is represented by Katharine Mulherin Contemporary Art. 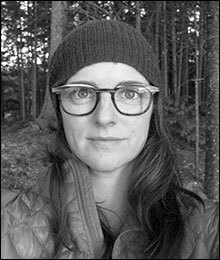 Since completing her MFA studies at The School of The Art Institute of Chicago, Katy McCormick has taught photography, printmaking, and book arts. Her solo exhibitions have appeared in Toronto at Women’s Art Resource Centre (WARC) Gallery, Premiere Dance Theatre, Alliance Française Gallery, Gallery TPW, and The Photo Passage, and elsewhere at The Photographer’s Gallery, Saskatoon, The Other Gallery, Banff, and at VOX Gallery and The Eleanor London Public Library, in Montreal. An independent curator and writer, she served as Exhibition Coordinator and Managing Editor at Gallery 44 Centre for Contemporary Art, Toronto, for six years (2000–06). 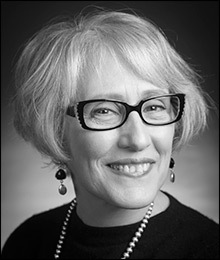 Her scholarly writings can be found in many publications including: the Journal of Canadian Art History, Imaginations, Captures, the Journal of Canadian Studies, and Intermédialités. Alongside this research, Karla has written catalogue essays and book chapters on the work of contemporary Canadian landscape photographers Jessica Auer, Geneviève Chevalier, David McMillan (forthcoming), and Andreas Rutkauskas. She is currently completing a monograph entitled, Eco-Photography: Justice, Nature, and the Global Environmental Imaginary to be published with McGill-Queen’s University Press. Working in both drama and documentary, Roz is an award-winning writer/director. Her feature drama, TROUBLE IN THE GARDEN, is soon to be released. Having previously directed episodic television, Roz’s focus in recent years has been on making independent productions. PORTRAIT OF RESISTANCE (2012), her feature documentary about pioneering artist-activists Carole Condé and Karl Beveridge, gained critical acclaim in screenings across Canada and internationally. Her short dramas, including Genie nominated YOU LOVE ME I HATE YOU have shown at festivals around the world. Having penned four dramatic feature scripts, Roz was awarded WIFT’s 2006 KODAK New Vision Fellowship for her writing. Her first award winning production was made on 16mm B&W film. She is now happily working again with16mm in the first-year film production classes she teaches at Image Arts. Financing is underway for her to direct the Canadian UK co-production of her script LOOK BOTH WAYS. 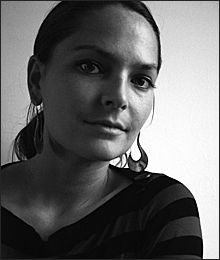 Izabella Pruska-Oldenhof is a Toronto-based experimental filmmaker, scholar and Assistant Professor at the School of Image Arts. She is a graduate of Media Arts at Ryerson University (BAA) and Communication and Culture at York University (MA) and (PhD). 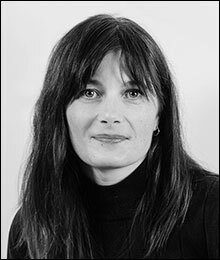 Her doctoral research concentrated on feminine aesthetics in avant-garde cinema and body art, and drew on Julia Kristeva’s theories on vanguard poetry and Luce Irigaray’s philosophy of ethics. Izabella’s writings on cinema, art, dance, technology and culture, have appeared in Parol, Canadian Journal of Film Studies, and in Ultimate Reality and Meaning Journal (Journal of Interdisciplinary Studies in the Philosophy of Understanding), and in anthologies on media arts and on screen dance, including a chapter in the forthcoming Oxford Handbook of Screendance. Izabella’s film and video projects have screened in numerous group programs at international film festivals, cinematheques, galleries and art centres in Canada and abroad. Solo screenings of her works have been presented at the Diagonal Film Archive in Seoul, South Korea (2008), at the 10th Festival des Cinéma Différent de Paris in France (2008), and at Canadian Film Institute: CAFÉ eX in Ottawa (2007). Izabella’s projects received many awards from film festivals, as well as grants from the Canada Council for the Arts, Ontario Arts Council, NFB, LIFT, and Ryerson University. Her films are included in collections at several universities and in video anthologies, including: Made by Hand, Contre L’Oeil, and Loop Collective. She is the co-founder and an active member of the Toronto-based experimental film collective, the Loop Collective (www.loopcollective.com). Her work as an artist and scholar is interdisciplinary and often explores connections between art, bodies, and technology. Clare Samuel is a visual artist originally from Northern Ireland. She has lived in Canada for the last ten years where she received a BFA with Honours from Ryerson University and an MFA from Concordia. She has participated in national and international residencies and exhibitions, including most recently at the CCA in Glasgow. Her images have been featured in publications such as Prefix Photo and Next Level, and recognized by awards such as the Canadian National Magazine Awards and the Roloff Beny Fellowship. Her writing has been published in Anchorless Press and Studies in Photography. Her photographic and video-installation work focuses on borders and thresholds, notions of belonging, and the negotiations between the self and other. Ed has over twenty years of experience as a teacher and practitioner in the fields of Communication Studies, Media and Fine Arts. He has trained in North America and Europe and his areas of expertise include research methodologies, media analysis, social constructionist and reception theory and communications history. Ed has developed courses at both graduate and undergraduate levels at leading institutions across Canada. He actively participates in organizing and lecturing at various arts and media conferences and has been the editor of various publications and journals. Brett Story is a geographer and non-fiction filmmaker based out of Toronto. Her films have screened at True/False, Oberhausen, Hot Docs, the Viennale, and Dok Leipzig, among other international festivals. Her second feature-length film, The Prison in Twelve Landscapes (2016) was awarded the Special Jury Prize at the Hot Docs Canadian International Documentary Festival and was a nominee for Best Canadian Feature Documentary at the Canadian Screen Awards. 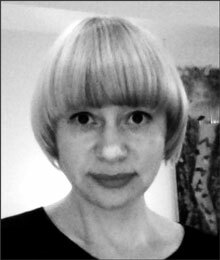 Her interests across the fields of documentary and critical theory are expansive, and include experimental cinema and essay films, politics and aesthetics, racial capitalism and Marxist political economy, and visual geography. Brett holds a PhD in geography from the University of Toronto and was a 2016 Sundance Institute Art of Nonfiction Fellow. She is the author of a forthcoming book titled The Prison Out of Place: Mapping Carceral Power across Neoliberal America. 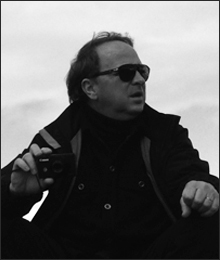 John Tarver, csc is an award-winning director of photography with over 20 feature film credits. In addition to narrative features and TV movies, he has amassed a body of work that includes documentaries, TV series, commercials, and special-venue 3D films. His work has appeared on major networks such as Showtime, HBO, the SciFi Channel and FOX. Tarver is an alumnus of the USC School of Cinematic Arts with an MFA in film production where he specialized in cinematography under the mentorship of Woody Omens, ASC (Harlem Nights, Coming to America). Shortly after graduating he returned to his home in Alberta, Canada to shoot his first feature, Two Brothers a Girl and a Gun for Canada’s National Film Board. The film opened to acclaim at the Toronto International Film Festival. Equally at home in a sound stage or the amazon jungle, Tarver has shot in exotic locations around the world including Peru, Mexico, Egypt, Turkey, Russia, Austria, Luxembourg, Brazil and Argentina. He also served as co-producer and cinematographer on the award-winning horror film Shallow Ground. He has extensive experience in film, digital, and 3D imaging technologies and has done extensive work for special effects including blue and green screen, shooting plates for digital compositing, and underwater cinematography. Mr. Tarver is a full member of the Canadian Society of Cinematographers, and IATSE Locals 667. He has also served as instructor of cinematography at his alma mater, the University of Southern California. 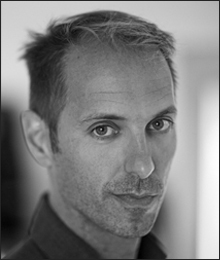 Interdisciplinary artist, Pierre Tremblay is an Associate Professor at Ryerson University, School of Image Arts. His artistic practice, combining new technologies and video, questions the world in flux, how we see and perceive. Recently completed is a film series on Michael Snow, David Rokeby and R. Bruce Elder as well as work on various new media projects: Continuum and Portraits in a sentence. Recent exhibitions of note include Dans la nuit des images, Grand Palais, Paris, and le Mois de la Photo 2009, Montreal, along with festival screenings in Canada, Italy, Australia, China and Brazil. His work can be found in France at Musée Carnavalet, Bibliothèque Nationale and the Musée Rodin. In his role at Ryerson, Tremblay has facilitated conferences and edited books that have brought scholars and artists from Ontario, Quebec and France together for cross-cultural exchange on a variety of new media topics.